THE HAGUE - Dutch caretaker Minister of Defence Jeanine Hennis-Plasschaert will visit St. Maarten early October and Dutch Prime Minister Mark Rutte will follow suit early November. This was announced by the Dutch Government Information Service RVD today, Thursday. Also visiting early October besides Hennis-Plasschaert will be Curaçao Prime Minister Eugene Rhuggenaath. The Joint Logistic Support ship His Majesty Karel Doorman, the Dutch Navy’s largest vessel, will arrive in St. Maarten around the same time of the visit of the Dutch Minister and Curaçao Prime Minister. The ship bring a large load of relief supplies, including police cars, dump trucks, water trucks, bulldozers, excavators and mobile phone antennas. Aside from welcoming the Karel Doorman, the Ministers will also visit the Dutch Defence personnel who has been working tirelessly in the past weeks to provide emergency assistance and to get the vital infrastructure up and running. Prime Minister Rutte will visit all three Windward Islands early November to discuss the reconstruction, which is the phase after the emergency assistance. 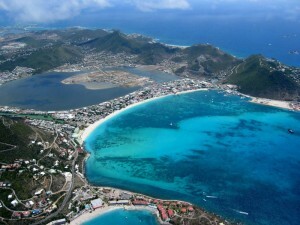 The Dutch Government will play a leading role in the rebuilding of the islands of which St. Maarten was hit the hardest by Hurricane Irma. King Willem-Alexander of the Netherlands and Dutch caretaker Minister of Home Affairs and Kingdom Relations already visited the Windward Islands on Monday 11 and Tuesday 12 September. Aruba Prime Minister Mike Eman came to St. Maarten shortly after the hurricane.